When ‘Santiago’ is mentioned, many will first think of Chile; however, this Santiago is located in northwestern Spain. 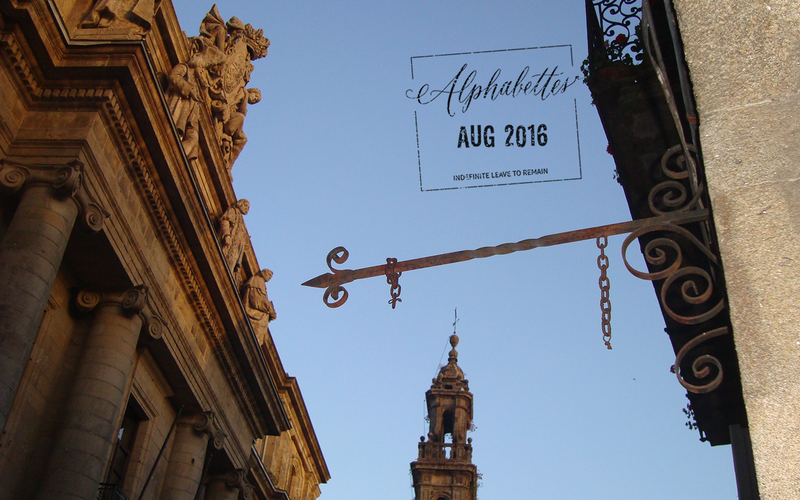 Santiago de Compostela has an official population of less than 100,000 inhabitants and is known internationally as one of the most important pilgrimage destinations in the world. In 1985 the old town was declared a World Heritage Site and, in 1987, the “Camino” was named the First European Cultural Itinerary by the Council of Europe. There are numerous books written in numerous languages regarding the ‘Camino de Santiago’, so I will refrain from images of the cathedral and other tourist traps. Some structures, formerly for hanging signs, remain even when they lack a function creating metal arrows that seem to be point nowhere. It can be quite the cliché to mention the cultural diversity in a country as large as India, but sometimes, the obvious deserves repeating, especially when it can be supplemented with photographs of beautiful shop signs and house nameplates. In order to demonstrate this, I invite you to join me in Goa, the smallest of India’s twenty-nine states, well-known for its beaches, parties and electronic music festivals. Unlike the majority of the country, the state of Goa wasn’t a colony of the British. The Portuguese arrived here in the early 1500s and Goa remained under their control till 1961 when it was annexed by India after military action. Interestingly, it was 1556 in Goa that the first printing press from the West arrived in India. 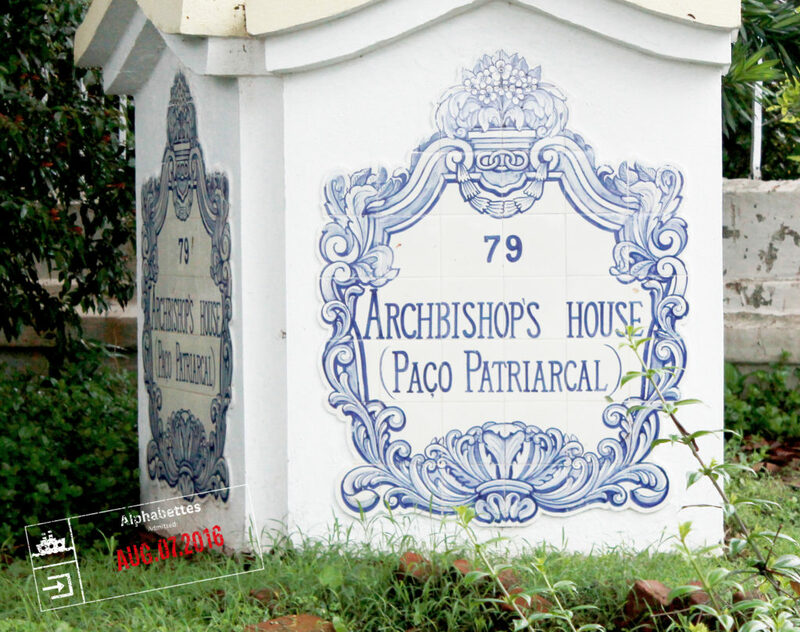 Over 450 years of Portuguese rule has left its mark here and it is easy to spot in the architecture and lettering, especially in neighbourhoods like Fontainhas, an old Latin Quarter in the state capital Panjim. Scripts don’t live in a void. They live together, interlaced, in Israel’s urban environment: Hebrew, Arabic and English. Each script is affected by surrounding scripts, which in turn influences them back, a symbiotic relationship. 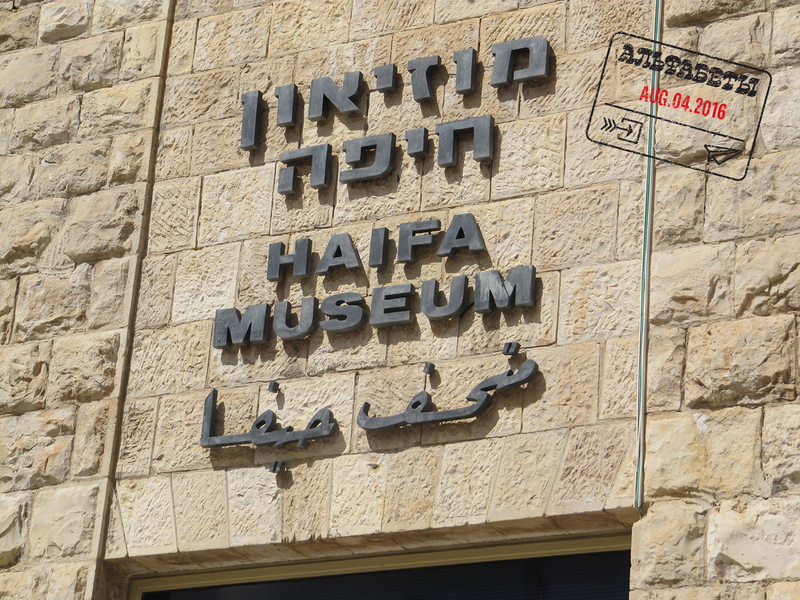 Examining trilingual signage in Haifa provides an opportunity to discover meaning among the different alphabets; an additional benefit is that it is a good excuse to show some of what surrounds me in my hometown.